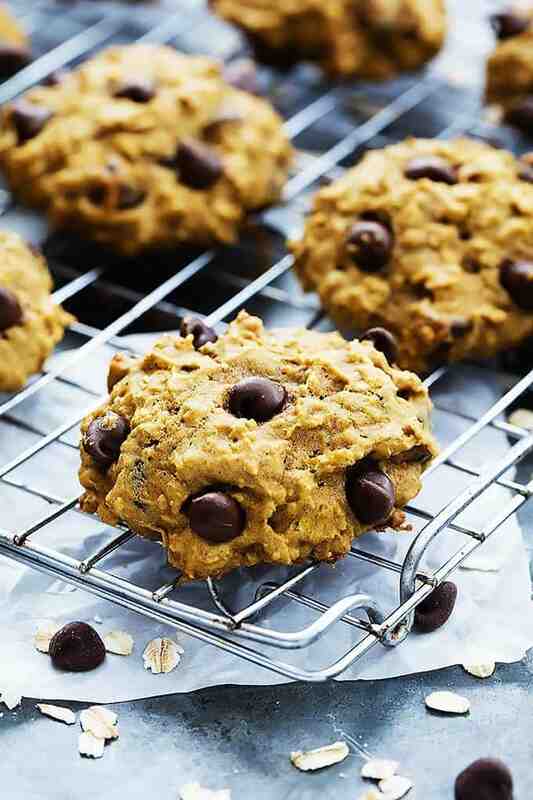 Super Moist Pumpkin Oat Chocolate Chip Cookies loaded with chewy oats and semi sweet chocolate chips! Oh my word I love pumpkin. and chocolate. and cookies. I love it all. Another thing I really love? Adding rolled oats to cookies. 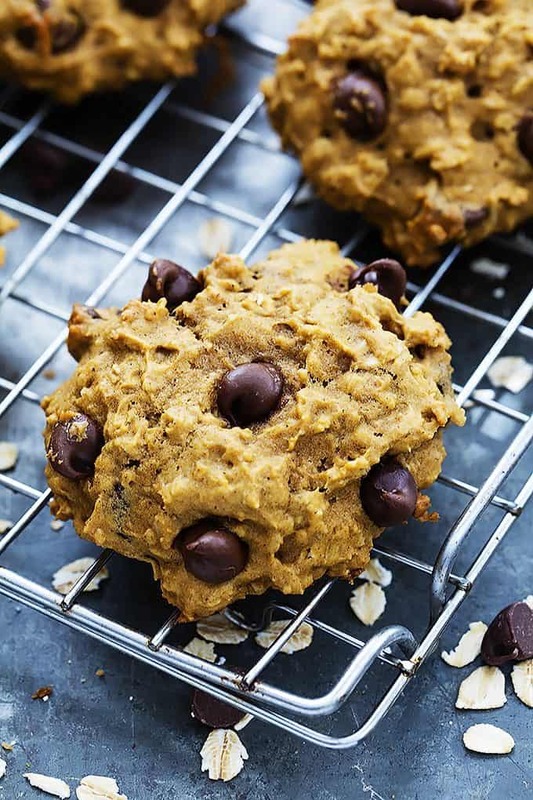 There’s something about a handful of old fashioned rolled oats baked into cookie batter that makes the finished product have the best texture ever. 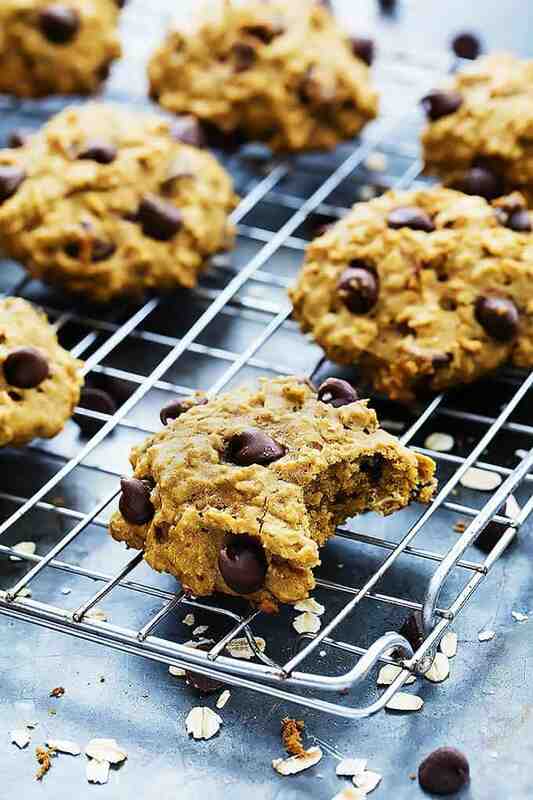 A little chewy, extra moist, and that nutty flavor without actually having to add nuts to the cookie itself. Because there’s only certain circumstances in which I really crave a nut in my cookie. Like white macadamia chocolate chip cookies. That is a special case. 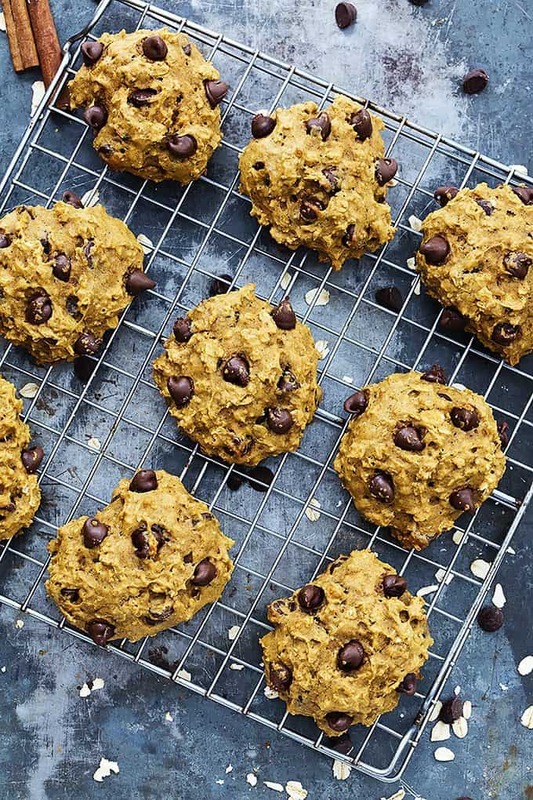 But with pumpkin cookies I want a whole bunch of nutty, chewy rolled oats, and a truck load of chocolate chips. Because there should be a minimum of two chocolate chips – preferably three – in every single bite of cookie. And my husband agrees. If were up to him the ratio of chocolate chips to actual cookie would likely be somewhere around 9:1 – but I’ll spare you that mouthful of straight-up chocolate chips and recommend my 2-3 chip per bite. The perfect balance of pumpkin to chocolate. 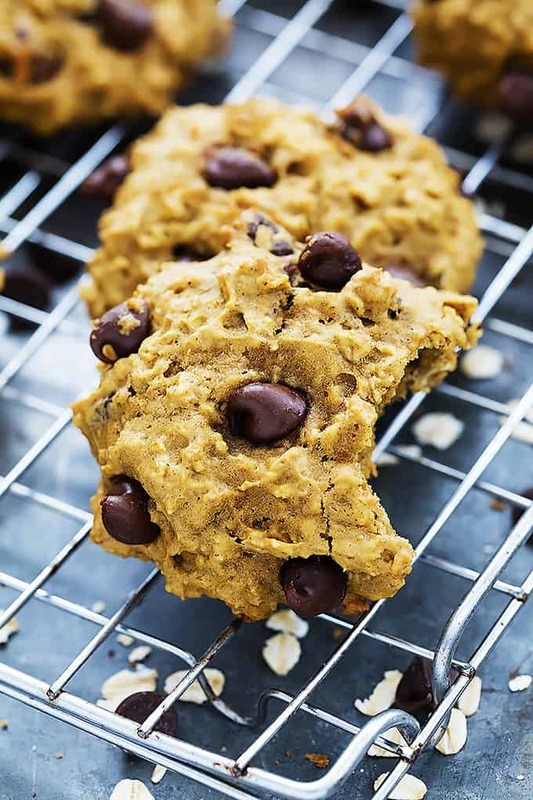 Super moist pumpkin cookies loaded with chewy oats and semi sweet chocolate chips! In a medium bowl whisk together flour, oats, cinnamon, baking soda, salt, and pumpkin pie spice. In a large bowl cream together butter and sugars until light and fluffy. Add egg, vanilla, and pumpkin and mix well. Add dry ingredients to wet ingredients and mix until combined. Stir in chocolate chips. Drop spoonfuls of cookie dough onto prepared baking sheet (about 4 tablespoons of dough) 2-3 inches apart. Bake for 10-14 minutes. Allow to cool for 5 minutes on baking sheet before transferring to a cooling rack or sheet of parchment to continue to cool. Store in airtight container up to 1 week. More Pumpkin Recipes you'll love! Oh yummy!! These look really good!